Now that my own book is finished I have had the chance to catch up on some reading. 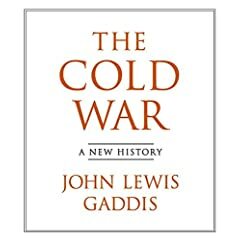 The Cold War by John Lewis Gaddis Although this book provides a good overview of the themes of the Cold War, I was somewhat disappointed at its lack of anaylsis of the main protagonists. Figures like Stalin, Kennedy, Mao, Gorbachev get less attention than I would like. Yet on the upside, the author presents in clear and objective language his own opinions of the factors that first led to (the desire of the west to limit Soviet influence in Western Europe) and ultimately what ended (economic contradictions and social pressures in the Soviet Union) the Cold War. The clearest lesson to me was that - no matter how bad the international situation seems now - we certainly do not face the same existential threat as existed in the latter 20th century. 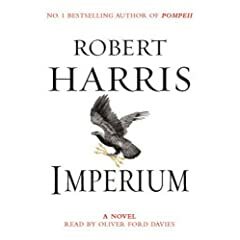 Imperium by Robert Harris As a true fan of Robert Harris, I was inevitably underwhelmed by his latest novel. Imperium simply fails to ignite the same moods of empathy and suspense as used wuccessfully in Fatherland, Pompeii or Archangel. I also feel that by telling the story through a narrator who is one step removed from the main character, we stray from the point of the book - to get inside the mind of the Cicero. That said, Harris does a typically superb job of building his fictional world. I could almost smell the streets of Rome. The deliberate parallel drawn between Pompey the Great and George W. Bush, and their joint desire for extended power, is also very entertaining.